Kristoffer Borgli (b. 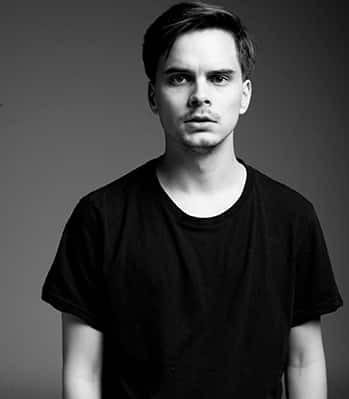 1985) was born and raised in a small suburb outside of Oslo. A skateboard and a videocamera dominated his youth. He went on to film school and is now directing full time. His music videos have screened at festivals all over the world, earning him awards from the Canadian International Film Festival and the Norwegian Grammy ("spellemann"), to name a few. A lot of his work has a combination of visual poetry and a daring story, always interesting to watch. The more we know the less we know. The more we achieve, the more complicated our lives get. Søren Kierkegaard wrote over 150 years ago that “when we have solved all our problems and life is without struggle it’s precisely struggle we will seek.” A the height of her fame, Britney Spears was questioning why tears came at night, and Daniel Day-Lewis quit acting to become a cobbler. Being freed of struggle produces existential dread. Maybe Maslow was wrong about his hierarchy of needs? As self-actualization is progressively easier to achieve in the western world we’re frantically looking around for meaning. It’s no longer religion, it’s no longer our jobs. Meditation is mainstream, self-help books are topping the lists (Jordan Peterson’s 12 rules for life being a current example) and kids vanish into computer game realities. Kanye West is tweeting about “free thinking” and “how to create a mind”—we really are at a crux in western culture where we individually have to figure out what exactly creates meaning, what exactly reality is. The film wasn’t created to answer that question, but rather to enhance the absurdity and humor at the root of such frantic soul searching, as a way to laugh about the void and quit being so grave about it.